It is selective systemic phenoxy herbicide. 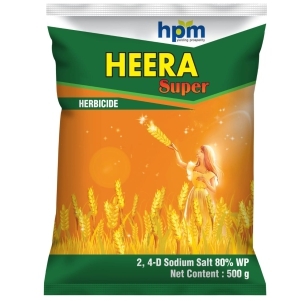 The product is used for the control of annual and perennial broad leaved weeds in a wide range of crops. Readily absorbed by the roots. 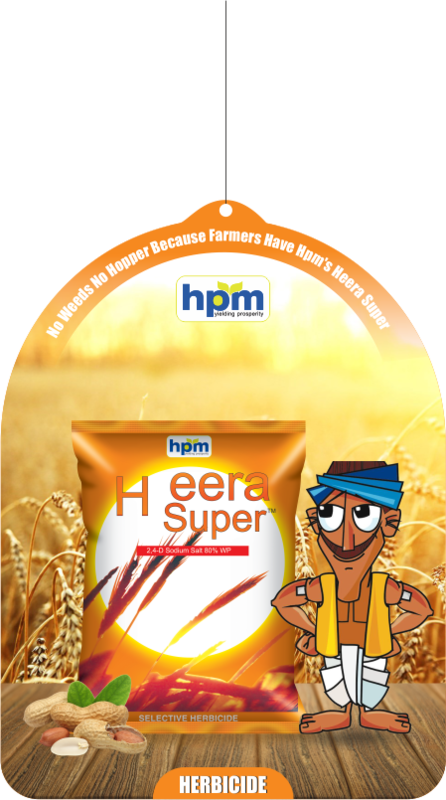 Heera Super is used in narrow leaf crops to control broad leaf weeds. 2,4-D works a synthetic auxin. It belongs to be family of phenoxycarboxylic acid. It is used on a wide variety of terrestrial and aquatic broadleaf weeds. It has little effect on grasses. It is selective systemic herbicide. It acts as a growth inhibitor. The salts are readily absorbed by the roots, whilst esters are readily absorbed by the foliage. Translocation occurs, with accumulation principally at the meristematic regions of shoots and roots. It is herbicide product based on 80% of active ingredients of 2,4-dichlorophynoxy acetic acidin soluble powder form in which sodium salt is present. It is a selective herbicide and controls broad leaved weeds, sedges and germinating grass seedling in crops like wheat, maize, citrus and grapes. It is rapidly absorbed by roots. Water insoluble matter, percent by mass, Max. Free phenol content, percent by mass, Max. 2,4-D salt is not persistent under most environmental conditions.It ismoderately to less toxic to birds. It is highly toxic to marine fishes.